The HSE is seeking an injunction restraining the defendant from using the My Options brand. 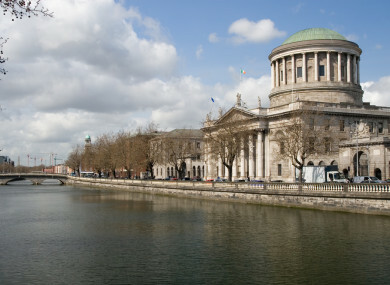 THE HEALTH SERVICE Executive (HSE) has brought High Court proceedings against a man who has allegedly set up a misleading website that is confusingly similar to the HSE’s crisis pregnancy freephone service ‘My Options’. The HSE’s action is against Eamon Murphy who it claims has established a website passing off the service known as ‘My Options ‘. The HSE claims that through the website called www.myoptions.website, Murphy is inappropriately offering pregnancy scans, is trying to convince women not to go ahead with abortions, or berating those who have chosen to undergo a termination. Late last year HSE secured the contract to run the freephone information and confidential counselling service, which is the first point of contact between it and the public. Its website, www.myoptions.ie, went live late last year, and the phone service commenced in January. The HSE says that in recent weeks it became aware of a website called www.myoptions.website. The HSE claims that the website contains Mr Murphy’s phone number, promises a free ultrasound, and had at one point hosted a video claiming a link between cancer and abortion before being removed. Murphy with an address at Finglas Road Dublin 11, allegedly registered the domain name shortly after the Minister for Health publicly announced the name of the HSE’s service. The HSE claims Murphy’s actions are not a coincidence, are leading to substantial confusion and is damaging the goodwill and reputation of the HSE’s service. It says that women are finding the defendant when they intend to find the service operated by the HSE. The website is also giving the impression that Murphy is offering services in connection with the HSE, or that objective counselling and information services are being provided, it is claimed. The HSE says it has called on him to remove or rename the website, but he has failed to do so. In proceedings against Murphy, the HSE seeks various orders including an injunction restraining the defendant or any other person acting under his control from using the sign ‘My Options’ or any other confusingly similar sign similar to the HSE’s mark ‘My Options’ to denoted pregnancy-related counselling or information services. It also seeks an order directing Murphy to transfer the domain name www.myoptions.website to the HSE, and that he immediately deliver up and destroy all stationery promotional materials bearing the ‘My Options’, brand. The matter came before Ms Justice Leonie Reynolds at the High Court this afternoon. The Judge on an ex parte basis granted the HSE, represented by Michael Binchy Bl, permission to serve short notice of the proceedings on Murphy. The matter was adjourned to Friday’s sitting of the court. Email “High Court hears HSE claim that man allegedly set up misleading My Options website”. Feedback on “High Court hears HSE claim that man allegedly set up misleading My Options website”.